Can I change the fonts / CSS of the VS 2010 help? 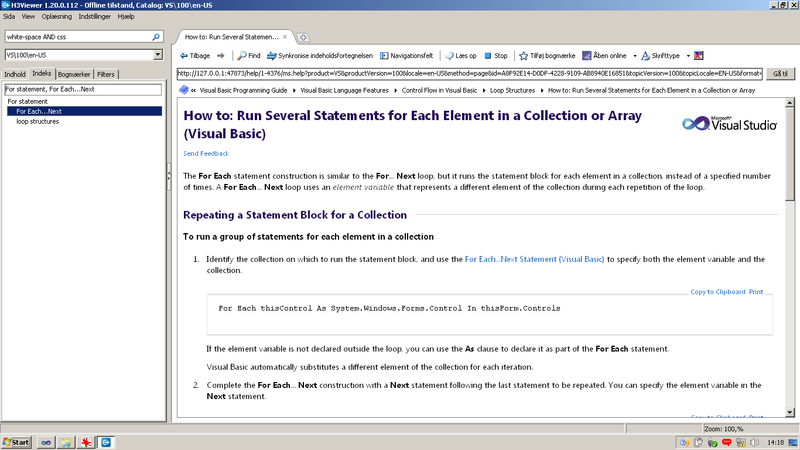 Many thanks MSDN forum user TechWill28 who posted me the following instructions on how to use your own CSS style sheet with VS 2010 Offline help content. I've changed the branding-en-US.css to match the look of vs2005 help as closely as possible when viewing in normal text size. This means reduced header size, smaller verdana font for text, courier new for code samples, background of code samples in light blue and other details. I thought I'd share this with others. 1. Shut down LibraryManager if it's running. 2. Unzip branding-en-US.zip (downloaded above) to the same folder as dev10.mshc is in. 3. Open dev10.mshc with WinRar, WinZip or the like. 4. Replace the branding-en-US.css with the new one you just unzipped. If you use another language than English, you'll have to replace that stylesheet instead (eg. 'branding-de-DE.css' for German). The stylesheet will affect the way you see help in both HV1 and h3viewer, since h3viewer just uses the settings from HV1. You do have an alternative: just choose another font in h3viewer, but that'll change the font for code samples as well, making them harder to read. 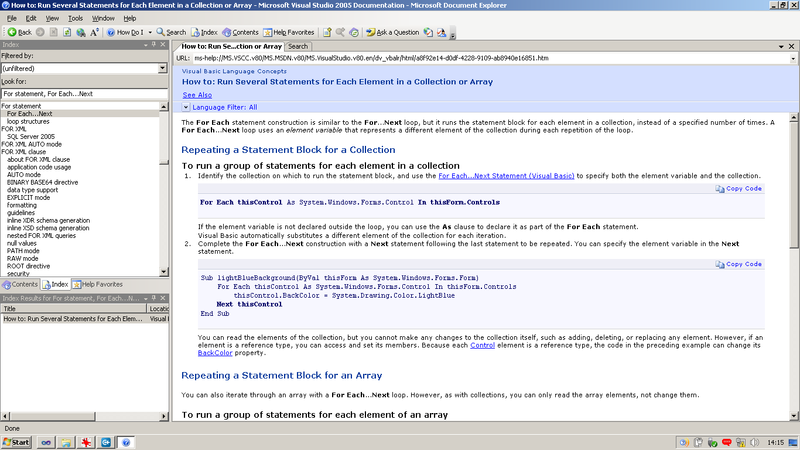 As an example here's what the help for the For..Each statement looked like in VS2005. 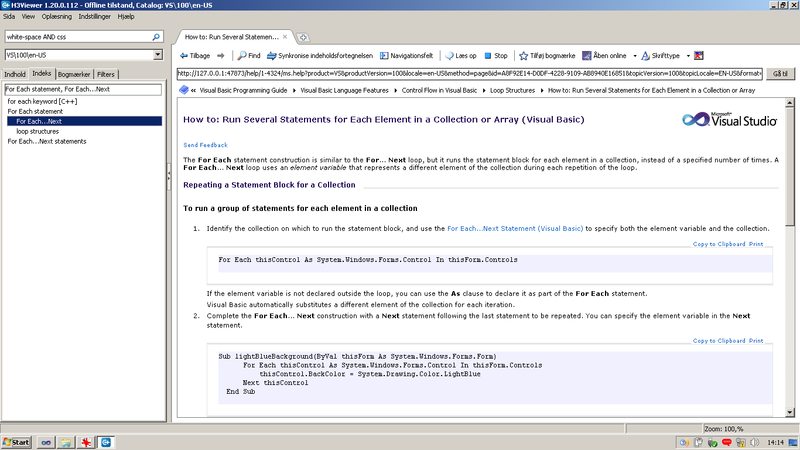 Here's what the same help will look like in VS2010 with h3viewer installed in the default setup. And here's what it looks like when the modified stylesheet is applied.